This statistic shows the share of the population in France as of January 1, 2015, by nationality status. 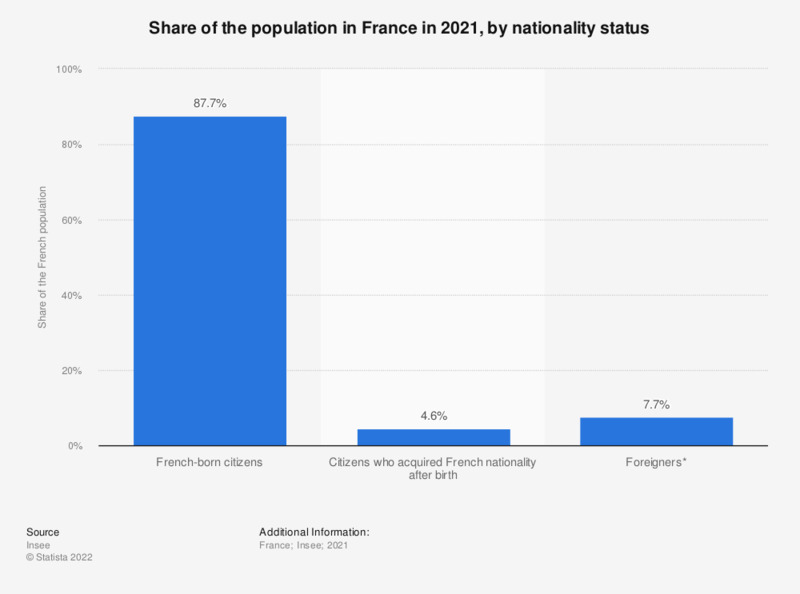 It appears that French-born citizens accounted for 88.9 percent of the French population, while 6.7 percent of the people living in France in 2015 were foreigners. * According to the INSEE definition, a foreigner is someone who lives in France but does not have the French nationality, even if they were born in France.